Please read this page carefully before purchasing your experience gift voucher. These terms and conditions form the basis of a contract between us (Hanwell Wine Estate), and you (the purchaser and/or any subsequent holder of the experience gift voucher). 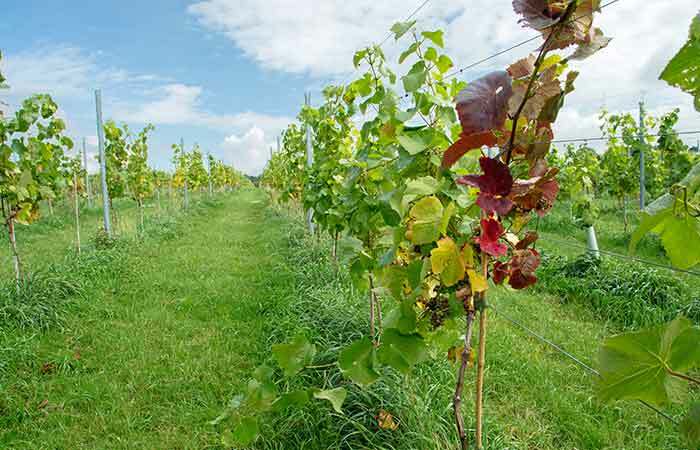 Hanwell Wine Estate issues Experience Vouchers (“Vouchers”) entitling the Holder to attend one of a range of activities (“Experiences”) supplied by the Hanwell Wine Estate. Vouchers purchased from Hanwell Wine Estate over the telephone or via the Internet will be issued directly by us via email to the purchaser or, on the purchaser’s direction, to another person nominated by him (“the Holder”). Special arrangements can be made, for an extra charge, if you wish us to post a hardcopy. Hardcopy Special Deliveries are sent via first class Royal Mail delivery as standard. Purchases can only be delivered to a UK postal address and bought with credit card that is registered to a UK postal address. Please allow 5 working days for hardcopy delivery on all experience day vouchers. Vouchers are valid for 400 days (excluding promotions) ie more than 1 year. Please check the season especially for Vineyard Experiences, as this may be shorter than the Voucher validity. You will find the expiry date on the Voucher. You must book and complete your experience prior to the expiry date, please note booking lead times apply and we cannot guarantee spaces so please book in advance. If you are unable to use your Voucher within the validity period, the Voucher can be extended for a period of up to six months (excluding promotional vouchers). A Voucher can only be extended once and must be done while the voucher is valid. Extended or Exchanged Vouchers cannot be refunded. A Voucher can be exchanged† only once for another Voucher, up to the original value and subject to the restrictions below, without incurring a fee. A difference will be payable if the chosen experience costs more than the value of your original Voucher and the value of your Voucher will be increased. If your chosen experience is cheaper, we will hold the difference as a credit against another experience. In this case, the credit holds the same expiry date as the original Voucher. The credit cannot be used to pay for the cost of an extension or an exchange. The exchanged Voucher will carry the same expiry date as the original purchased Voucher. If you wish to combine or merge more than one Voucher together, as part of the exchange process, then this can be arranged however subject to the following restrictions; you can merge no more than two Vouchers together; if the Vouchers have different expiry dates then the earlier expiry date is taken forward onto the replacement Voucher, not the later date. † Please note Hanwell Wine Estate promotional products, some tangible gift products and choice vouchers are excluded from the list of exchangeable products. Customers must be aged 18 years or over to buy gifts containing alcohol on www.hanwellwine.co.uk and must provide proof of age if requested. By completing the order the customer is confirming they are aged 18 years or over. On delivery, the customer may be requested to show proof of identification (with a photograph) to verify the age of the person accepting delivery. If acceptable identification cannot be provided the goods will be returned to us, but you may still be charged or incur additional costs. For safety reasons, some activities have certain size, age and health restrictions. You are required to notify Hanwell Wine Estate of any relevant medical condition. Please ask at the time of purchase or booking and we will advise of any restrictions. Changes to the booking are accepted up to 14 days prior to the experience. Please note you will not be able to change your mind within 14 days. We have tried hard to ensure that descriptions, illustrations and experience titles used in the Voucher packs, in all our literature and our website are accurate, however, photographs and experience titles are intended to give a general idea of the experience described, and do not form part of any contract between you and Hanwell Wine Estate. If we cancel your experience, we will tell you as soon as possible, and do our very best to offer an alternative date or location. If this is not possible, we reserve the right to cancel your experience at short notice and re-book you. We reserve the right to reschedule the timings or location of any experience owing to unavailability of the experience, insufficient numbers making the experience unavailable, and other factors beyond our control. We reserve the right to discontinue an experience, at our own discretion. We will endeavour to offer a suitable alternative experience of the same value, however, if not we will refund your Voucher in full. If you decide to book a different experience and the price of that experience exceeds the face value of your Voucher, you will be expected to pay the difference. We also reserve the right to make minor changes to your experience. Hanwell Wine Estate is unable to reimburse travel, accommodation or other incidental expenses incurred by you in attending an experience which is cancelled for any reason. Activities may be cancelled due to weather conditions, mechanical failure, or for other reasons beyond our control. If your experience is cancelled because of the weather, you will be able to rebook for a date on which you are able to attend. If you are unable to travel to your experience due to bad weather but the Experience still takes place your voucher will be deemed used. Changes to bookings can be made up to 14 days in advance of the booked experience. You should contact us immediately if you need to change or cancel your booking. If you need to cancel your experience because of accidental injury/illness to yourself, or a death in your immediate family you should contact Hanwell Wine Estate as it may be possible to re-arrange your experience on presentation of a medical certificate. In case of a problem, please speak to us on the day, so we can resolve any problems there and then. Any other complaints should be addressed to Hanwell Wine Estate, info@hanwellwine.co.uk or by post to the address below. If you are not satisfied with your Voucher, please call us within 28 days of purchase and we will happily arrange a full refund, excluding any delivery charges, provided the voucher has not been redeemed. Refunds will be paid back onto the credit/debit card used to place the original order. No interest will be paid on the amount to be refunded. We reserve the right to change experience prices without notice, provided we inform you before the experience is booked. Vouchers will not be issued until payment is collected in full. VAT is not applied to our pricing. These terms and conditions do not affect your statutory rights as a consumer and are governed by and in accordance with English law. The purchaser and Hanwell Wine Estate agree that any problems fall under the jurisdiction of the English courts. All the clauses and sub clauses in our terms and conditions are independent of each other. If one clause or sub clause is invalid or unenforceable, this will not affect any other clause or sub clause. The funds on Vouchers are not covered by the Financial Services Compensation Scheme. In the unlikely event of the issuer of this product becoming insolvent, some funds on Vouchers may not be available to spend.